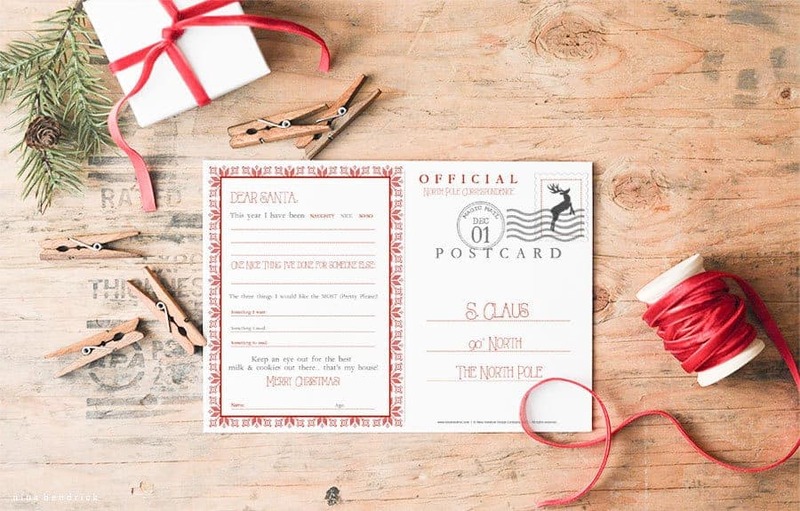 Free Printable Postcard to Santa | Nina Hendrick Design Co.
Free Printable Postcard to Santa | Send Santa this beautifully designed postcard. You can download the free printable right in this post and create a Christmas memory with your little ones! I hope you are all getting into the Christmas spirit. We have carols playing, cookies baking, and hot chocolate brewing. And of course, the kids are very much thinking about Santa! It’s about that time of year when they are making their lists and more importantly, reflecting back on what they’ve done for others this year. 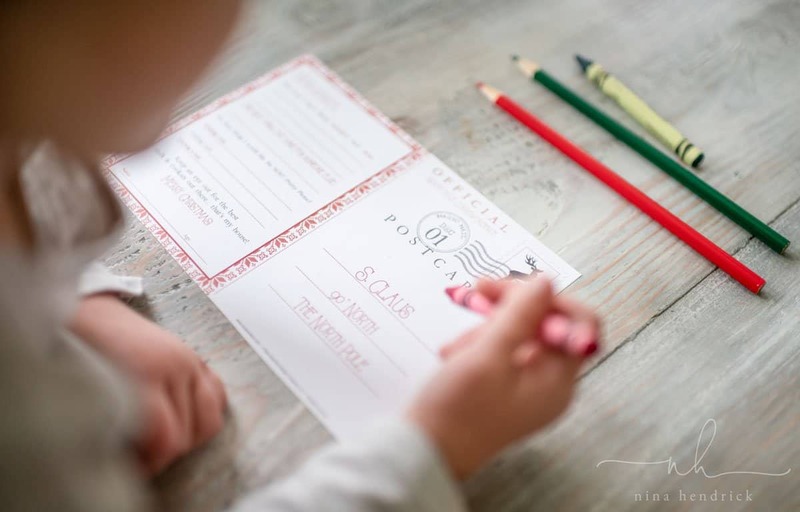 I created this fun free printable postcard to Santa for them to fill out. It includes places to fill in whether you have been naughty or nice, one nice thing you’ve done for someone else, top three gifts, name and age. 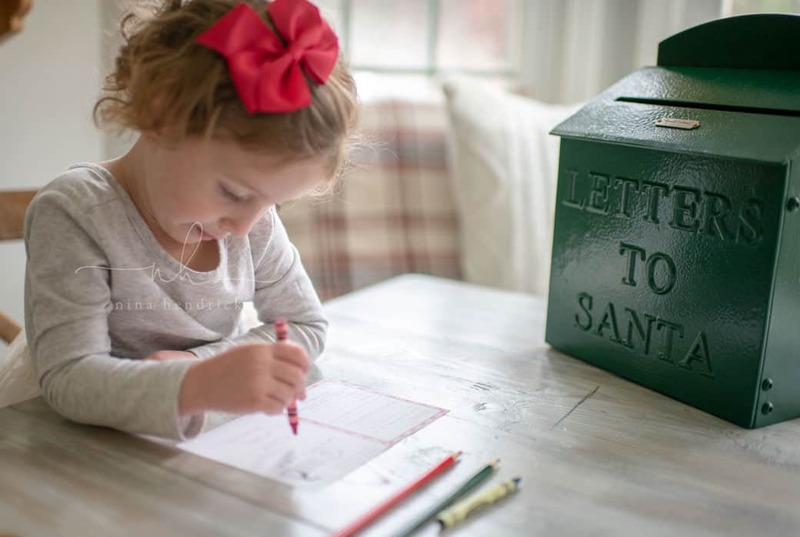 Most post offices have a special box at this time of the year for letters to Santa. The address is already pre-filled, so you don’t even have to worry about that. They can color their own picture for the other side of the postcard! I always encourage my kids to get as creative as possible- after all, Santa must be getting a lot of mail at this time of the year. It keeps them busy for quite a while. I like to make a color copy to save, too! It makes a great keepsake to look back on year after year. 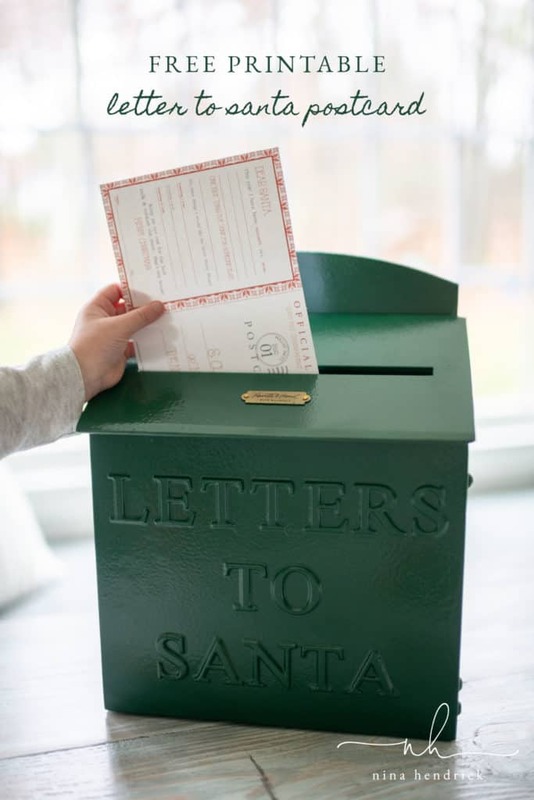 Fill out the form below to have the Letter to Santa delivered straight to your inbox! 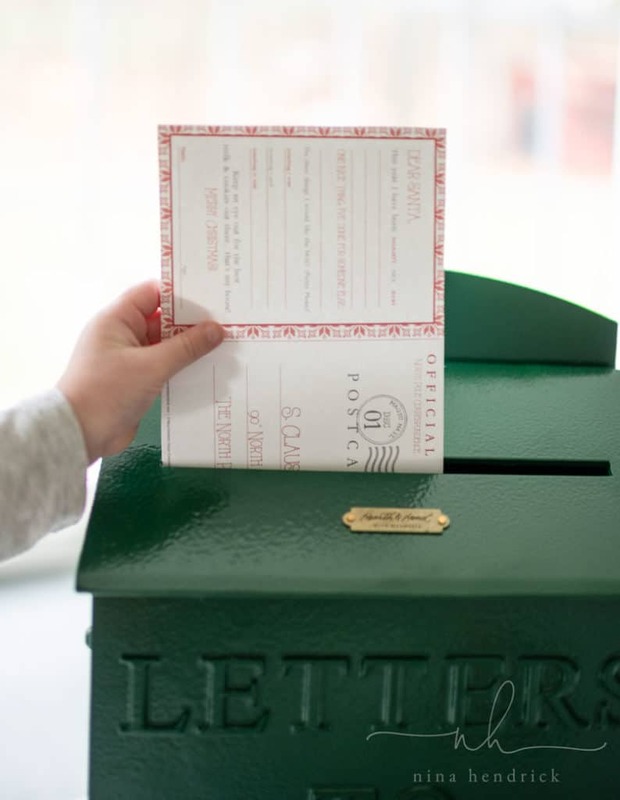 The printable will be delivered straight to your email inbox. Check there for instructions for downloading! I recommend printing on cardstock and from Adobe Reader. You can see a bunch of other free Christmas printables below! 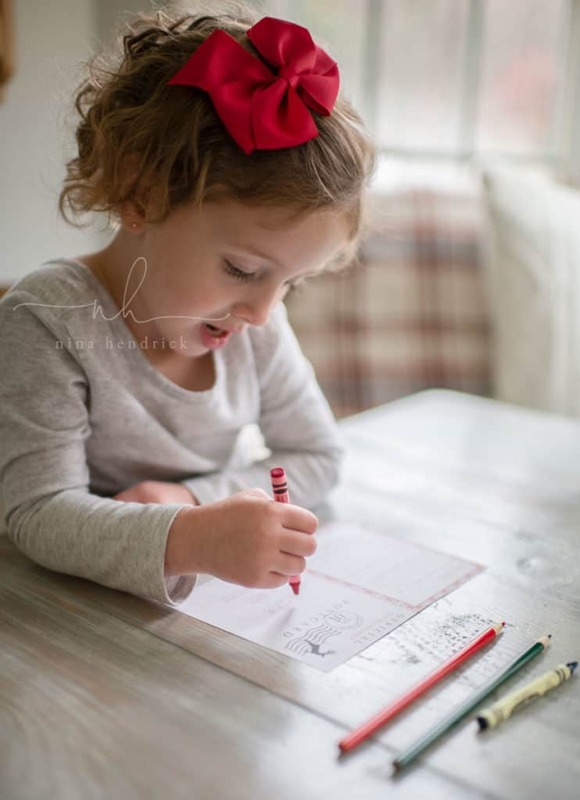 I hope that this printable helps you create a sweet Christmas memory with your little ones. This is so sweet! I love looking back on my kids’ past letters to Santa. Such a great keepsake. This is amazing, Nina! I love this vintage postcard, will definitely be downloading it. So stinkin cute!! Perfect for the kiddos! This is such an adorable printable for the kids!